We all do it, nearly every day. We turn on the shower and wait. And wait. Maybe we brush our teeth while waiting, or go start the coffee, or take clothes out of the closet, or fold some laundry. 20 seconds, 30 seconds, 40 seconds, a full minute – waiting for hot water before we step into the shower. How long do you wait for hot water? Take our web poll at the bottom of this post. In a 2009 modeling study, researchers estimated that over 10% of all the hot water drawn for showering in a typical single-family home is wasted waiting for hot water to arrive. With Americans taking over 200 million showers a day, that’s a lot of water and energy literally down the drain, of no benefit to anyone. 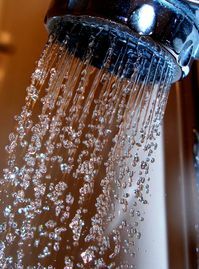 Using EPA estimates of shower water use, that’s about 280 million gallons of hot water wasted each day -- water that has been heated by a water heater, but then allowed to cool as it sits in long pipe runs that are not insulated. This amount of hot water is greater than the total amount of all water used on an average day in the city of Philadelphia, the nation’s fifth-largest. And the energy used to heat this wasted hot water results in annual greenhouse gas emissions equal to that of 1.6 million passenger vehicles. And that’s not even counting the additional water that gets wasted while waiting for hot water to arrive at a lavatory faucet or the kitchen sink. And the wait isn’t necessarily shorter in new homes. As homes grew bigger during the housing bubble, floor plans expanded, piping was extended, and wait times grew even longer. Additionally, although the flow rates for new faucets and showers have come down over the last 20 years in response to state and federal efficiency standards, designers often neglect to downsize the pipes serving these more efficient fixtures. This leaves an unnecessarily large amount of water siting in the hot water pipes cooling off between uses, resulting in longer wait times for hot water to arrive at the beginning of the next use. According to at least one industry insider, one of the top complaints of new home buyers in recent years has been too much time waiting for hot water. As the housing market rebounds, the efficiency of new homes will only grow in importance. For the last two years, NRDC has been working to reduce the wait for hot water – and the resulting waste of water and energy -- in new homes by working for changes in building and plumbing codes. Two of the leading code-writing bodies – the International Code Council (ICC) and the International Association of Plumbing and Mechanical Officials (IAPMO) have been considering changes for their respective versions of model codes that will be published in 2015. Once published, these model codes take on the force of law when later adopted by state and local governments. Taken together, the ICC and IAPMO codes are in effect in nearly every state in the nation. Working with partners such as the Alliance to Save Energy, the American Council for an Energy-Efficient Economy, and leading hot water consultant Gary Klein, NRDC’s efforts led the ICC to recently approve some important changes for 2015. Now attention turns to IAPMO, where the revision cycle for their 2015 codes is still in progress. In this effort, NRDC is collaborating with the AFL-CIO affiliated professional plumbers union, the United Association of Journeymen and Apprentices of the Plumbing and Pipefitting Industry – the “UA” for short. In early January, NRDC and the UA jointly proposed that IAPMO’s 2015 Uniform Plumbing Code include requirements to insulate all hot water piping in new commercial and residential buildings. NRDC estimates that the joint proposal will reduce the waste of water and energy in new homes by 15 to 30%. The NRDC-UA joint proposal for pipe insulation will be considered during the next meeting of IAPMO’s UPC Technical Committee which begins on April 28. Final action will come in the Fall. The full text of the proposal can be seen here. With our partners and trade allies, NRDC will continue to explore additional strategies to reduce hot water wait time and waste, including more compact piping layouts and better placement of hot water heaters. 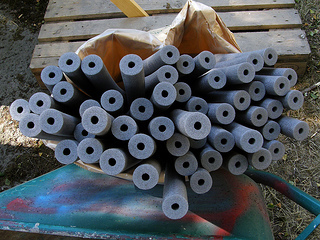 Meanwhile, a breakthrough on pipe insulation in the 2015 model building and plumbing codes can help ensure that new homes will no longer feature longer wait times and greater waste of hot water. How long do you wait for hot water? Take our web poll here and let us know. Use your stopwatch app, and measure how long you actually wait for hot water. You may be surprised! Tell us what you do while you wait, and a little bit about the type and age of your building. We'll share the results in an upcoming post.